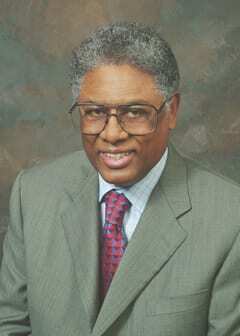 Having received word of the retirement of Dr Thomas Sowell , I can’t help but think that conservatism has lost a great voice going forward. I personally believe that his writing should be required reading in high school particularly in the schools of the inner city. Trouble of course is that such schools are run by people who are convinced that he is not a real black person, whatever that means. Actually, I take that back. I do know what they mean. I have said that for decades now that most if not all problems attributed to race and racism are in fact based in culture. The good doctor has never seen any value in what I will euphemistically call Black street culture. His acceptance and adoption of mainstream American culture has put him on the outs with the Welfare Society of today. That cultural battle is one that the good doctor has been fighting all of his adult life as far as I can see. As He suggests, being age 86 is certainly a formidable reason to retire. His writing and his insights will certainly be missed to some degree. But one thing I’ve always in my readings of his work is that they have attended to points of logic and reason that reach beyond the political immediate. I will close by adding my voice to the long list of well-wishers. Thank you, Doctor.